Used Toyota Avensis Verso Review - 2003-2009 Servicing, MPG, Insurance | What Car? 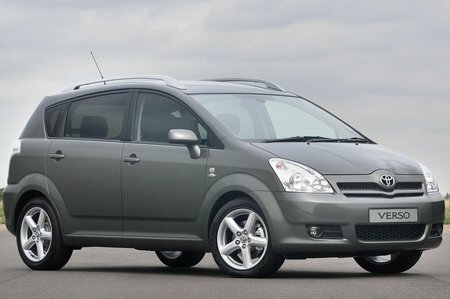 What used Toyota Avensis Verso estate will I get for my budget? How much does it cost to run a Toyota Avensis Verso estate? Residual values are average for the class, so a used Avensis Verso falls somewhere between compact and large MPVs on price as well as size. It's firmly in the compact MPV camp when it comes to insurance, though, with the diesel attracting a lowly group 8 rating and the petrol sitting just one band higher. The diesel also returns a useful 43.5mpg on the combined cycle, so you won't have to spend too much time hanging around fuel pumps. Unfortunately, there is a fly in the ointment and that's the maintenance costs. Toyota dealers charge more per hour than most of their mainstream rivals, and they also take longer than most to carry out repairs if you have an accident. On the positive side, you can cut labour rates by more than 40% by going to an independent Toyota specialist rather than a franchised dealer.